The cable meets the ISO / IEC 11801, ANSI/TIA/EIA-568-V.2, YD/T1019-2001 requirements. 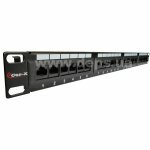 Designed for fixed installation in buildings, plants, constructions, inside hardware at a distance less than 100 meters. Copper wire of undersize diameter can reduce the cable price but with partially lost in transmission distance. The cable is packed in Cato Reelex (Pull Box) boxes, permitting a free pulling of the cable end. Cable length in the box is 1000 feet (305 m). The cable jacket is made of grey PVC . 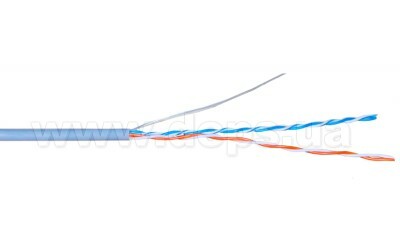 Nominal cable outer diameter is 4.3 mm. The cable consists of two pairs of wires twisted together. pair 2: white-orange / orange. Conductor Material: copper wire of 0.45 mm in diameter. 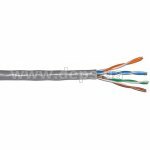 Conductor insulation is polyethylene and diameter of insulated conductor is 0.88 mm. 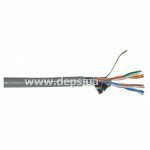 operating −30 ° C ... +60 ° C.
after installation (permanent) ≥ 4 x cable diameters. 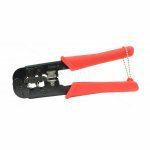 Tensile stress ≤ 80 N.
RJ45 connector is designed for single-core shielded FTP cable of CAT5e category. The connector has guide grooves and has no plastic insert. 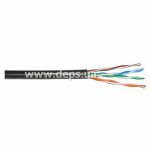 The cable is used for fixed installation in buildings, plants, structures and equipment. The copper-clad aluminum conductors are used here , which reduces significantly the cost of cable.